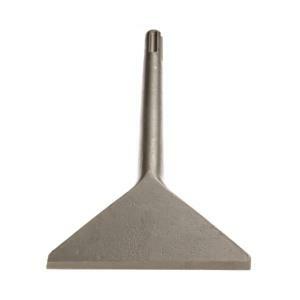 This floor scraper bit is used for the removal of ceramic tile and thinset only. The bit fits in our Bosch chipping hammers, and measures 14" long, with a 4.5" blade width. * Please call us for any questions on our tile scraper bit rentals in Hillsdale and Ridgewood NJ.